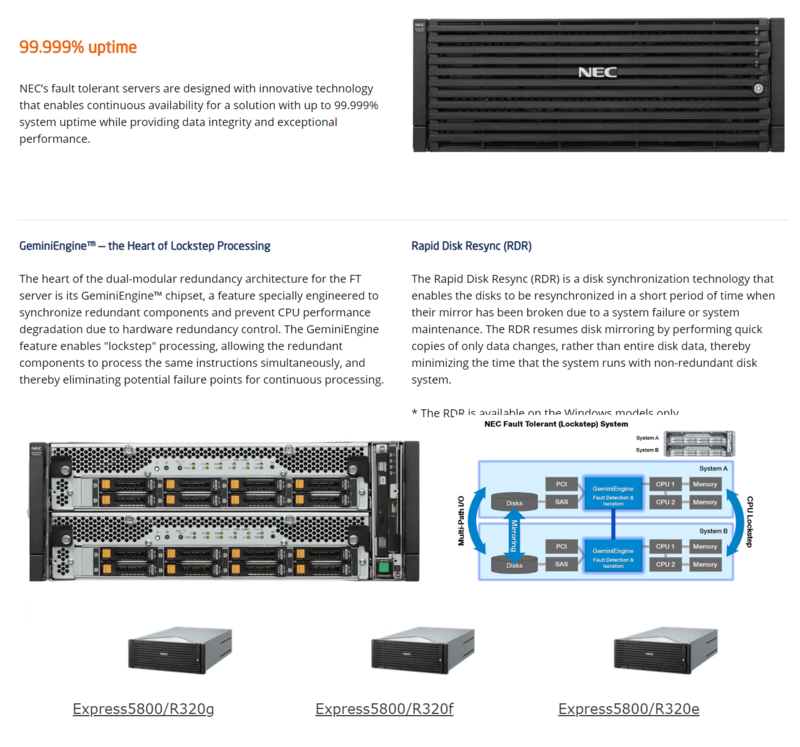 Leveraging the rich heritage of mainframe and supercomputer development, NEC’s Server Family delivers innovative features that address today’s complex IT infrastructure computing needs. 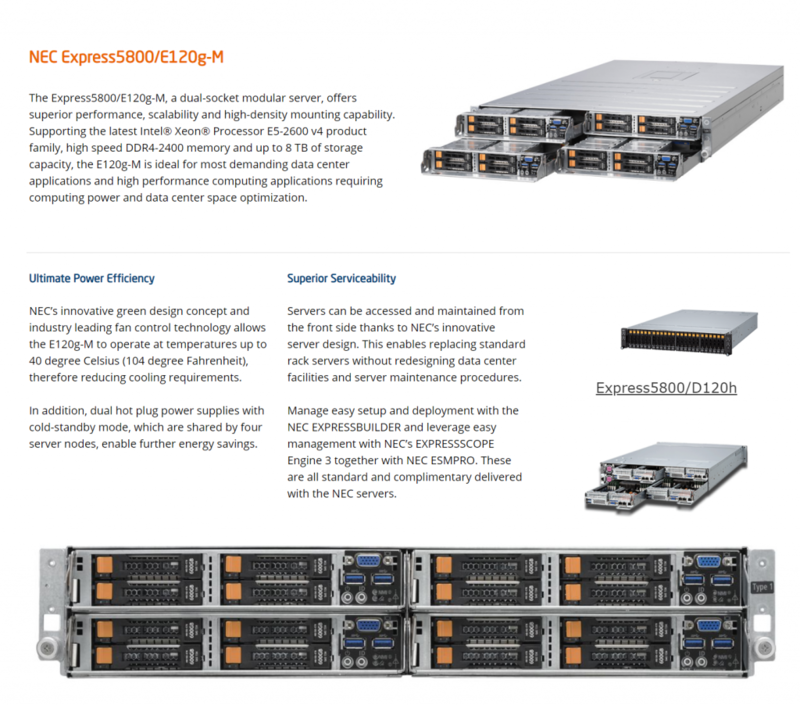 Powered by energy efficient and powerful Intel® Xeon® processors, NEC’s Server Family delivers the proven performance and advanced functionality that deliver real solutions to reduce procurement and operations costs. • For more information on the NEC’s Server Family in Kuwait call us or send us and email sales@kcs.com.kw with your requirements. NEC Rack Servers are designed to deliver high performance, reliability and availability at affordable prices and address any business environment, from work groups to small businesses to medium and large smart enterprises. Available in 1, 2 or 4 socket confirgurations based on the latest Intel® Xeon® processors to suit all application and pricing needs. Models are available in 1U, 2U and 4U providing an optimum balance of size and expandability. Operating temperature of up to 40° C are supported and with certain models in selected configurations now up to 45° C.
For more information / quote on the NEC’s Server Family in Kuwait call us or send us and email sales@kcs.com.kw with your requirements. High density, mid-range performance server platform with great scalability and flexibility. With up to 4 servers in a 2U enclosure, the NEC Modular server is ideal for the most demanding data center and HPC applications, requiring both computing power and data center space optimization at an attractive price point. Family. Ideal platform for compute-intensive and memory-hungry applications in mission critical and virtualized environment. Achieving near-zero downtime is for mission-critical businesses that cannot afford a single moment of failure. NEC Fault Tolerant (FT) servers provide an innovative solution to address planned and unplanned downtime for your most important applications. The FT servers deliver exceptional uptime through dual modular hardware redundancy and help maximize your business outcomes. The servers provide continuous availability through hardware redundancy in all components: Processors, memory, motherboards, I/O, hard disk drives, and cooling fans. 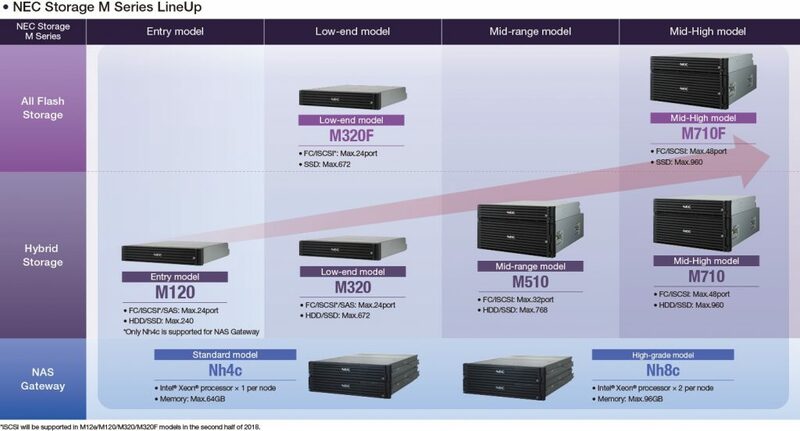 M-Series, NEC’s diverse line of storage disk array solutions, makes large-scale storage consolidation and scalability easy with autonomous operations using advanced virtualization technologies, a high-speed solid state drive and thin provisioning. Whether for an entry-level, low-end, mid-tier or high-performance environment, we deliver the optimal system that perfectly balances non-disruptive, highly efficient and secure availability with energy-savings affordability. For more information / quote on the NEC’s Storage Family in Kuwait call us or send us and email sales@kcs.com.kw with your requirements.